Yes! We can be surrounded by great design…as we work, travel, practice our religion, and just live. This astonishing 54-story tower and it’s smaller companion building lean and loom like science-fiction creatures poised to stomp all over the surrounding Beijing business district. Lots of glass and lots of see-through levels…some people in these spaces will be in constant eye contact but will rarely meet! Galactic Suite is the first-ever hotel designed for outer space. Space travelers (I mean guests) are launched aboard a rocket ship. They pass the sound barrier and dock in the spaceship (a.k.a. 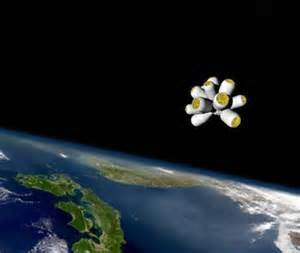 resort), which is orbiting 300 miles above the Earth. After settling into their own private module (well, not exactly settling, as Velcro suits will be provided allowing guests to attach themselves to the walls for dining and viewing), guests will orbit the Earth 15 times in 3 days. Fifteen sunrises and sunsets…what a view! The cost per person for a three-day-stay at Galactic Suite is $4.4 million. The hotel already has 38 bookings. La Sagrada Família is Antoni Gaudí’s unfinished masterpiece. Construction on this church began in 1882 and continues to progress. It is impossible to know how much the church has cost so far and will cost to finish…and no one has ever known how long it will take. Antoni Gaudí, Spain’s most famous architect and National Treasure, was fatally hit by a tram in 1926. Private donations have enabled construction of the Sagrada Família to carry on to this day. 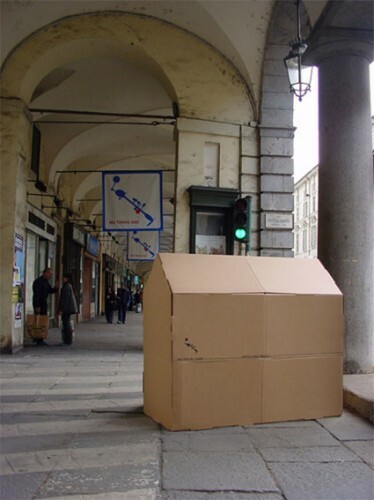 Artistic dignity for our people who actually have to sleep in cardboard on the street. Want to go to space without paying the $4.4 million? Click here if unable to view this video. Lovely blog! I was noting, as I viewed it, how much math is in those structures you showed. As a mathematics teacher, that stood out to me. Art and math are very closely related! This is soooo fun & informative! You never cease to amaze me. Love you Girl! Interesting picks Kirby: extreme architecture manifesting such different aspects of the world’s cultures. 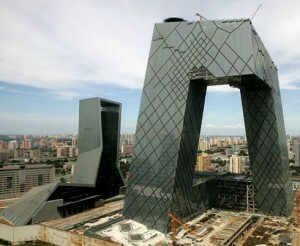 I would love to meet the design committee for the Beijing buildings.